A crack in a windshield can be very annoying! Unfortunately, it is only a matter of time before the crack spreads larger. This can happen with time, changes in temperature, or from normal every-day driving. The best way to stop a crack in your windshield from spreading is to have Triple Crown Auto Glass evaluate the crack and treat it with a professional resin. Often times, the crack is virtually unnoticeable after being serviced! 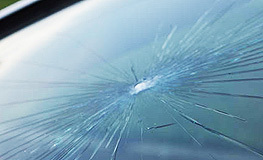 If you are in the Lexington, KY area and have a crack in your windshield, please call us today. Call (859) 241-3186. If you have comprehensive coverage on your insurance policy, there is no deductible in Kentucky for auto glass repairs or replacement.